The Monaco rug collection is toned down in earthy colours but glossy and shimmering due to the light reflecting faux silk yarn. Each rug in the collection incorporates neutral colourways but the use of high shimmer yarn is ideal for bringing beauty and originality to your home. The collection is power-loomed and hand finished in the EU. Monaco rugs deliver both quality and value for money in a beautifully original package. The best man-made yarns are brought together in a beautiful weave which works in almost any style of home. 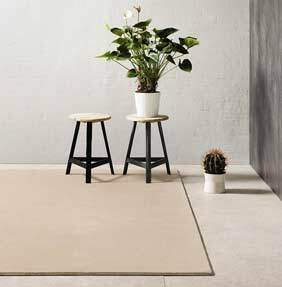 These rugs are robust and long-lasting, with a water repellent design yet a soft to touch pile. There are a choice of colourways to suit different interior styles.